Contemporary functional Gnosticism cannot be corrected by merely addressing the worldview of classical Gnosticism as an apologetic problem. 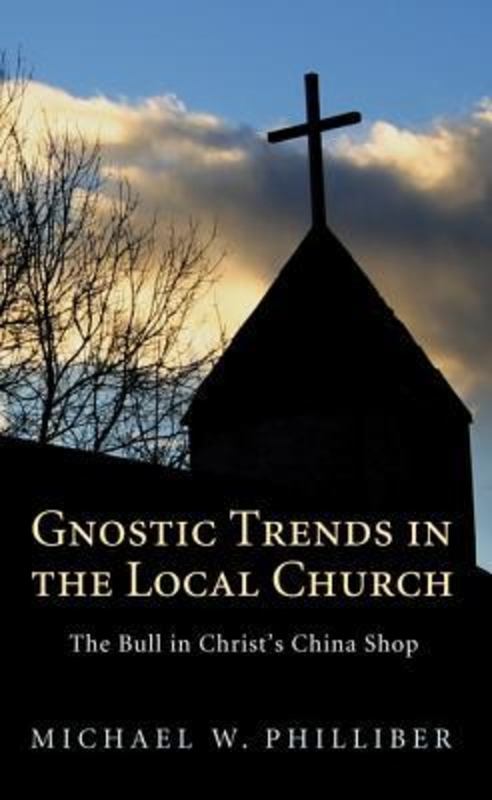 Gnostic Trends in the Local Church: The Bull in Christ's China Shop by Michael Philliber. Resource Publications, 2011. 164pp. Gnosticism is better known as an ancient second century heresy rather than as a contemporary reality. Nonetheless, Harvard English professor Harold Bloom calls it "America's natural religion." In his new book, Gnostic Trends in the Local Church: The Bull in Christ's China Shop, Presbyterian pastor Michael Philliber points out the latent forms of Gnosticism that have found their way into the evangelical church, though his solution suffers from some of the same issues as the problem itself. R.R. Reno writes, "Few Christians are Gnostics in the classical sense of the term. . . . Nonetheless, modern Christianity has tended toward a functional Gnosticism in which the divine plan is understood as a progressive universalizing and spiritualizing of religion." But American Christians are not Gnostic because they have studied modern-day proponents of Gnosticism, such as Princeton University's Elaine Pagels and Chapman University's Marvin Meyers. Rather, they are influenced by popular culture and its portrayals of Gnosticism, as in Dan Brown's book and film The Da Vinci Code and Louis Hay's The Secret. For evidence of this, consider how many people say, "I'm not into organized religion, but I'm a very spiritual person"—the Gnostic tendencies in those views, which sociologist Christian Smith identified as being dominant in American teens, are what he described as "moralistic therapeutic deism." And these latent quasi-Gnostic tendencies or functional Gnostic attitudes bear close attention. Philliber's book is a long-overdue introduction into the problem. What is Gnosticism for the layperson? It's a way of thinking that presents an alternative vision of the human problem and its solution. Creation and fall, according to the Gnostics, were the same event, which is a way of saying that our true state of grace was a kind of spiritual preexistence. Created reality is bad, part of the problem. We are condemned to spend our exile in creation—physicality is a tomb. Liberation is achieved by acquiring esoteric or secret knowledge, otherwise longing for a world of pure mind and pure spirit. As in the thought of Plato and Descartes, the nonphysical self, whether the spiritual self or the thinking self, is the most real. It denies the embodied self, the good creation, the Incarnation, and the bodily resurrection in favour of a disembodied spirituality, connecting my divine spark with the cosmic spirit. Yet, as C.S. Lewis concludes, "God never meant man to be a purely spiritual creature. That is why He uses material things like bread and wine to put the new life into us. We may think this rather crude and unspiritual. God does not: He invented eating. He likes matter. He invented it." Gnosticism is also seen in both Puritan prudishness and in libertine excess. One promotes a spirituality divorced from the body—shaming the body's created dignity. The other so disconnects spirituality from embodiment that sexual boundaries are irrelevant to spirituality. Most young people fall into this second category, which is why today only twenty percent of believers are chaste before marriage. If they participate in abstinence programs the number drops to twelve percent. Spirituality has been disconnected from sexuality, from embodiment, from material existence, from life as it is actually lived. Sexuality is the ground zero of Gnosticism—its ultimate case study. Jesus Christ, from the Gnostic perspective, is not a saviour but the role model of self-transcendence. Philliber explains that in this perspective, "God is outside of creation, above the creation, and against the creation." Gnosticism is the most anti-cosmic form of dualism in Church history. What matters to the Gnostic is "not the historicity of Jesus or the historical authenticity of the Gospels, not any objective authority, but 'spiritual vision.'" The fruits of Gnosticism are all forms of spirituality that are disconnected from creation and physical embodiment, religious views that are anti-historic, and an appeal to an alternative esoteric canon. Gnosticism is not intellectually monolith in its classical form—in fact, its ill-defined formlessness is part of its appeal. Bravo reality TV host Patti Stanger captures this sentiment when she stated, "God is not about religion, but religion continues to trouble relationships." God is somehow beyond categories, dogmas, and institutions, and so, ancient and contemporary Gnosticism has many varieties. But Philliber approaches contemporary neo-Gnosticism theologically as a reasonably coherent worldview, with specific theological deficits, rather than as the natural consequence of a faith tradition's flawed assumptions. Philliber argues that the solution to Gnosticism is better theology about Jesus and better historical apologetics regarding the canon. He doesn't pay much attention to the cultural context of contemporary forms of Gnosticism, seeing it instead as an aberrant worldview needing an apologetic and doctrinal response. Ironically, gnosis is countered with more gnosis—an Enlightenment response to the problem, which points to one of the singular weaknesses of the book. There is no doubt that the American church is theologically illiterate and consequently prone to heresy. And surely there is a need for a better understanding about the nature of Jesus, issues sorted out in the historic creeds, particularly Nicaea and Chalcedon. Many years ago, Os Guinness and I argued in No God But God that the evangelical church needed to recover its past. 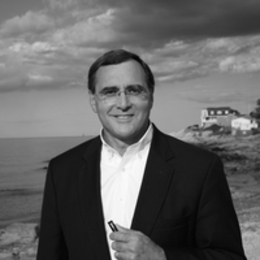 We wrote, "Most evangelicals suffer from historical amnesia. Like Rip Van Winkle's return from sleep, they act as if there were no jump from the last chapter of Revelation to the first pages of the story of modern times. . . . The best of the Catholic and Orthodox traditions is as vital for evangelicalism as the best of evangelicalism is vital for them." In particular, the modern believer needs a better understanding of the development of the canon as a process of apostolic confirmation. Ahistorical biblicism is not helpful. Yet this kind of ignorance makes believers most susceptible to the popular errors espoused by Dan Brown. We'd do well to reaffirm the Vincentian Canon—ecumenicity, antiquity, and consent ("Quod ubique, quod semper, quod ab omnibus creditum est" or "We hold that faith which has been believed everywhere, always, by all")—a robust and historically grounded "mere Christianity." The two theological correctives suggested by Philliber only touch the tip of the systemic theological deficit within the church. It is a partial solution that will not effect a cure. Contemporary functional Gnosticism cannot be corrected by merely addressing the worldview of classical Gnosticism as an apologetic problem. Rather, a fuller solution must also address the systemic factors that have led to it. A church that has been raised on a truncated two-chapter gospel message of fall and redemption (as is expressed, for example, in the Four Spiritual Laws), rather than a full-orbed gospel of creation, fall, redemption, restoration, is a church susceptible to Gnosticism. A church prone to Enlightenment cognitivism, whose anthropology sees persons as talking brains, is prone to Gnosticism. A church that places an ahistorical emphasis on particular personal experiences, a church oriented to consumer individualism, a church that is intrinsically dualistic (sacred versus secular, mind versus body, heaven versus earth), or a church that has a weak ecclesiology is a church ripe for the seeds of a Gnostic heresy. The evangelical soil is perfectly suited to Gnosticism. 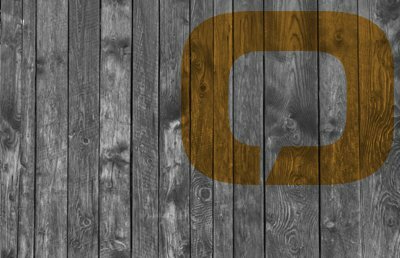 A genuine corrective will require reassessing many of the core assumptions on which contemporary evangelicalism is founded. The American evangelical church does not have two benign tumours—weak understanding of the deity of Christ and the canonicity of the Gospels—that need correcting. It has a systemic theological deficiency, a metastasis of heresy that needs more than incremental or intellectual solutions. Evangelicalism is a faith that has been proven incapable of facing the challenges of modernity or postmodernity—see David Wells and James Hunter's critique—much less the ancient heresy of Gnosticism. This heresy was a genuine threat to the Early Church. It took two centuries of careful reflection and faithful practice to root it out. Philliber's causal diagnosis is too dominated by his Enlightenment lens. His solutions point in a meaningful direction, but like tires without treads, they fail to provide sufficient traction for a faith tradition spinning out of control. He suggests more doctrinally focused preaching, the regular practice of the sacraments, the inclusion of the historic creeds, more thoughtful catechesis, and genuine community. Like some other pastors, Philliber advocates an Anglican-leaning, high-church Presbyterianism in his solutions. These suggestions are all helpful components, but collectively they will do little to abate the consequences of a two-chapter gospel, an Enlightenment cognitivism, therapeutic experientialism, and a consumer individualism. They may start the conversation, but they are hardly sufficient solutions in themselves to address the extent of the crisis. Particularly noteworthy in its absence is any discussion about sexuality and embodiment. While it may not be fair to critique a short book for not tackling all related issues, sexuality is perhaps the most existential dimension of the created reality and where Gnosticism touches first. It is the existential Ground Zero of the theological problem. It is where Catholics most vigorously and successfully address Gnosticism—few evangelicals are willing to affirm sexuality and marriage as the metanarrative of the gospel. In this regard readers should consider the writing of Christopher West, the leading translator of Pope John Paul II's magnum opus the Theology of the Body, particularly his latest book, At the Heart of the Gospel: Reclaiming the Body for the New Evangelization. As West puts it, "The Song of Songs is the authentic soundtrack of Christianity." Even stalwarts of historic orthodoxy like Gordon-Conwell's David Wells are no longer comfortable calling themselves "evangelicals." Catholic journalist Ross Douthat has argued in his book Bad Religion that the problem of American is not too little religion, but too much religion of the wrong kind. Functional Gnosticism is just such bad religion. And yet this bad religion is the natural consequence of our core evangelical assumptions. This is the natural fruit from the seeds we have planted. If there is a faith community most in need of reformation and revival today, it is American evangelicalism. Furthermore, it is safe to say that one's views of the Eucharist often parallel one's views of culture. Put simply, disembodied spirituality makes cultural impact impossible. This is why Gnosticism is such a problem for the evangelical church: It makes one feel spiritual and irrelevant at the same time. Albert Einstein noted, "One cannot solve a problem within the same frame that created it." Philliber's book is an important conversation starter, but it does not sufficiently change frames. Enlightenment Presbyterianism, even with a liturgical Anglican twist, is not the frame that will solve it. Band-Aids will not be enough to address the metastasizing cancer infecting the church. Nonetheless, this book could be the first stop on the journey toward recovery. 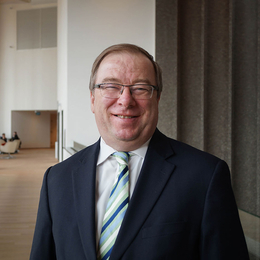 Dr. John Seel is the former director of cultural engagement at the John Templeton Foundation. 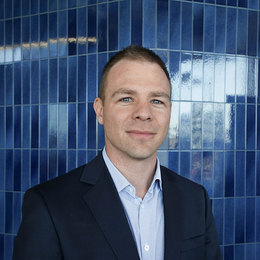 He is currently principal at John Seel Consulting LLC, a cultural impact consulting firm specializing on millennials. He, and his wife Kathryn, attend Cresheim Valley Church and live in Chestnut Hill, Pennsylvania. 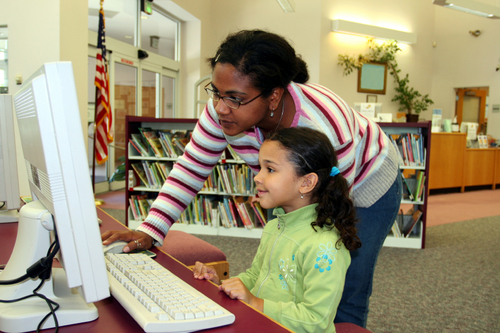 Are Christian schools and public schools equally worthy? Why I teach in one but enrolled my children in the other. Putnam's important book points to a sobering assessment of the integrity of American religious belief and practice.